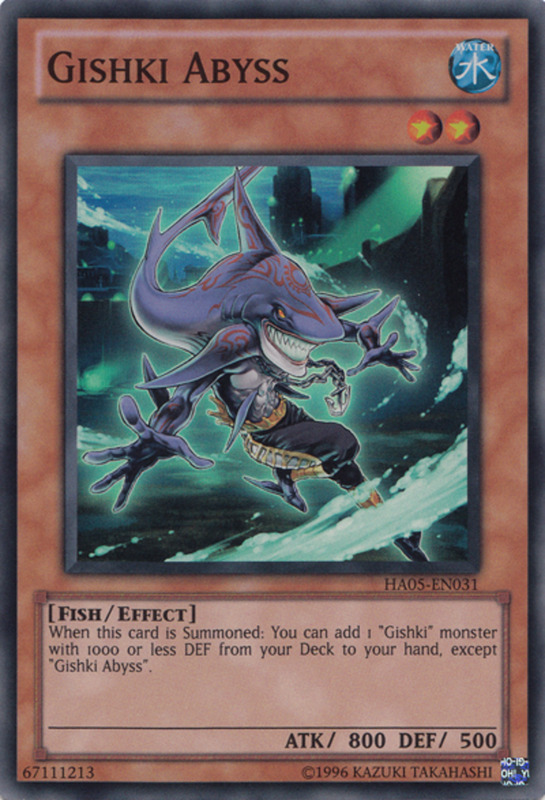 What Are the Wight Cards in Yu-Gi-Oh? 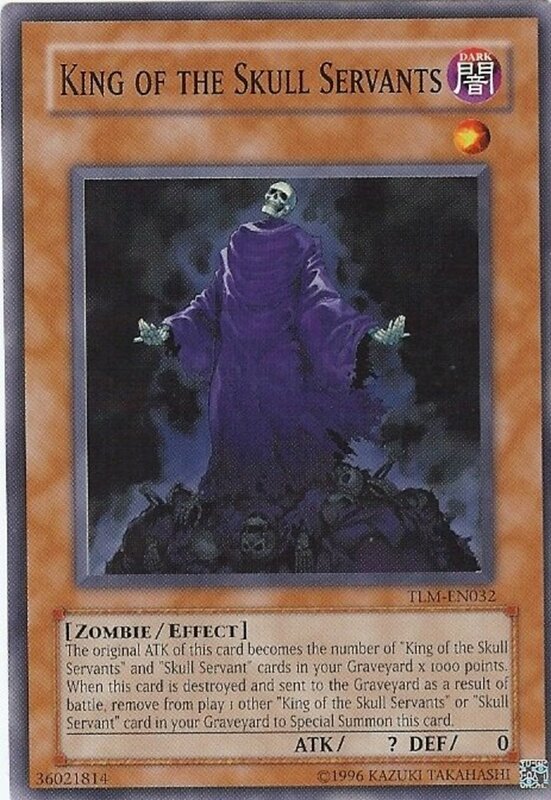 The Wight series of zombie monsters are designed to support "King of the Skull Servants", a powerful card that gains 1000 ATK for each copy of himself and "Skull Servant" in your graveyard. Thanks to the name-changing antics of several Wight members, if you can quickly mill your own deck, you'll enjoy ridiculous ATK scores upwards of 10,000. But with dozens of archetype members and supports, which units are most crucial to victory? 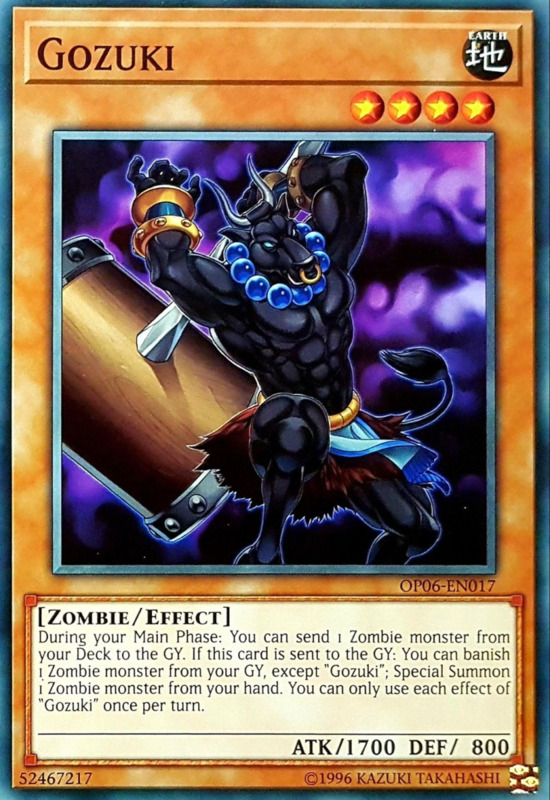 Here are the ten best cards for your Skull Servant/Wight Yu-Gi-Oh deck! We'll soon see how many Wight monsters can banish themselves to activate effects, but doing this keeps them out of the graveyard (where they empower King from). 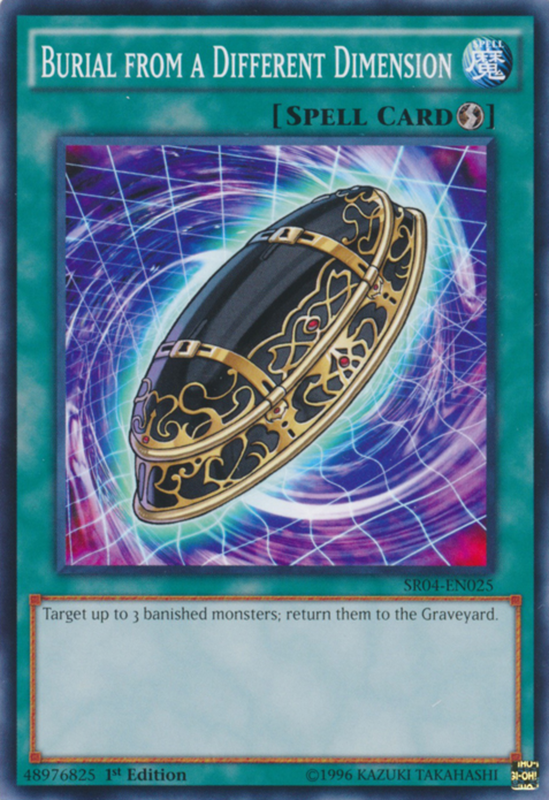 To help recover your exiled units, use Burial to return up to three banished monster to the graveyard. And since it's a quick-play spell, you can bait a spell/trap removal, then activate it in response. You can even choose some of your opponent's banished cards in the rare cases you'd want to. 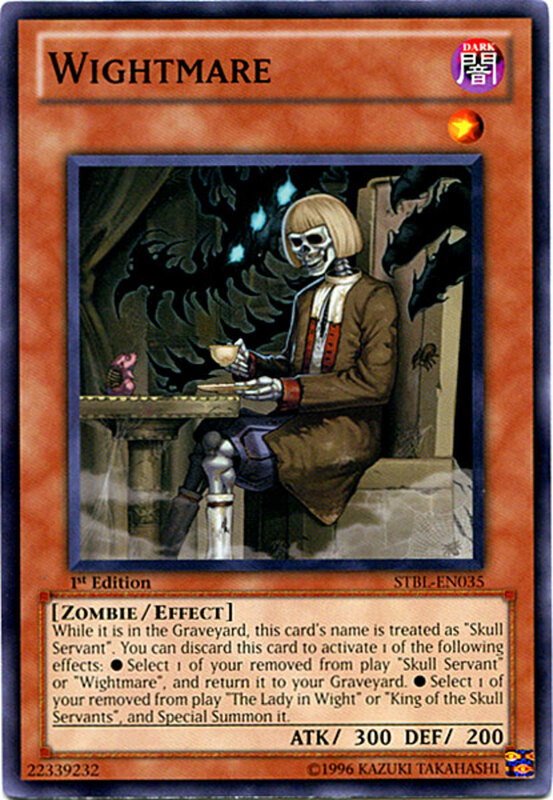 Perhaps the Skull Servant theme's biggest weakness is a dependence on the graveyard, making it vulnerable to the banishing prowess of cards like "Macro Cosmos"; Burial helps counter these threats. The Shiranui monsters share the Wight's zombie theme, making them a great pairing. 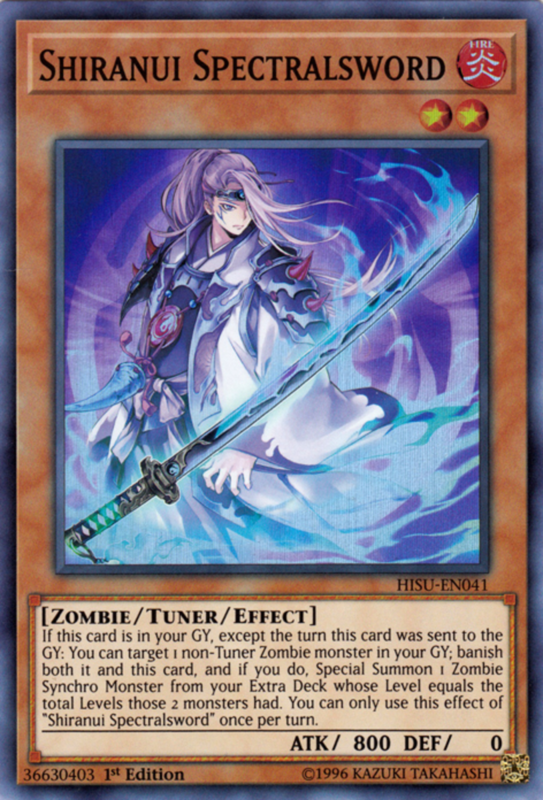 While Solitaire only has 500 ATK, he lets you tribute a zombie (possibly himself) to special summon a zombie tuner with 0 DEF from your deck, helping prepare powerful synchro summons. And if Solitaire is ever banished, you can special summon one of your different banished Shiranui monsters, or up to two if "Shiranui Style Synthesis" is on the field. 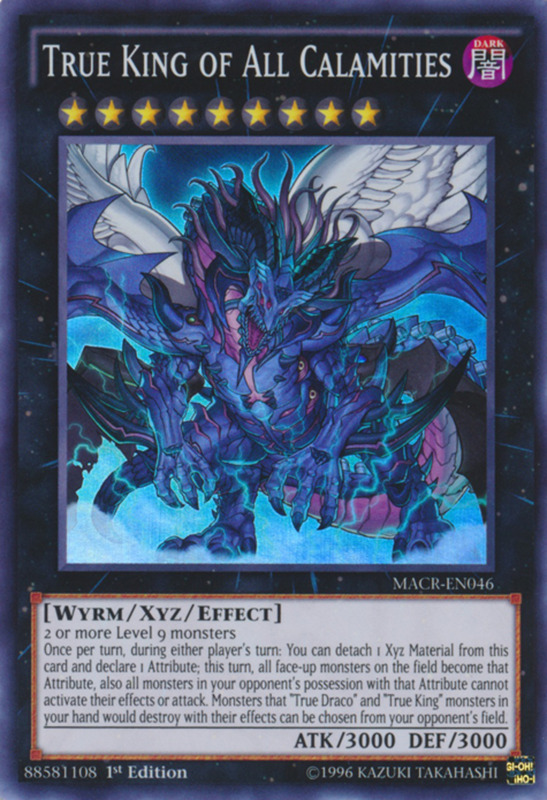 Essentially, Solitaire will help access your synchro monsters while also recovering banished Shiranui monsters, making him a great addition for paired Wight/Shiranui decks. 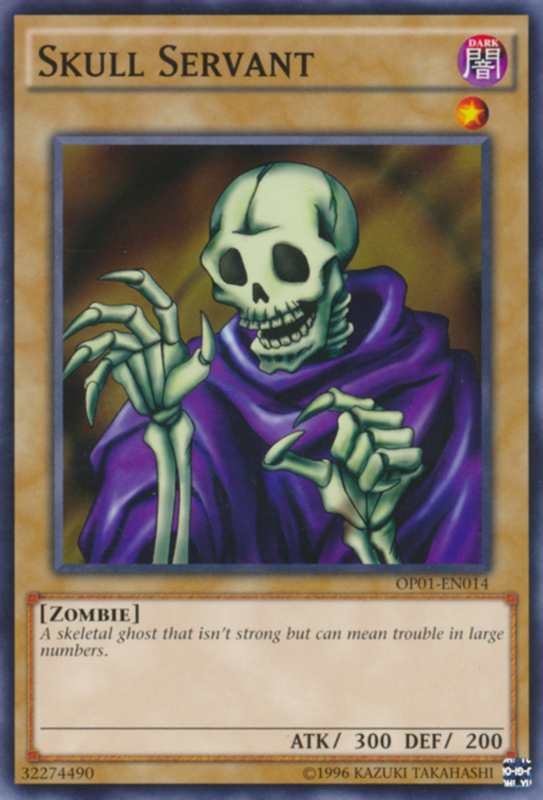 Remember that his tribute ability can quickly place Skull Servants from your hand into your graveyard, strengthening King. If you're running Solitaire, you'll also want Spectralsword, whose status as a tuner with 0 DEF qualifies for Solitaire's effect. In addition to synergizing with Solitaire, Spectralsword can banish both himself and a non-tuner zombie from your graveyard to synchro summon a zombie monster whose level matches the total of the monsters you banished. You can only do this on turns after Spectralsword was sent to the graveyard, but it's a great way to access extra deck monsters from your graveyard while also exiling Shiranui monsters (potentially activating Solitaire's second ability). The first effect works great for stalling your opponent and even shields against effect damage, while the second can help increase your hand while recovering both Shiranui and Wight units, many of whom have 0 DEF. 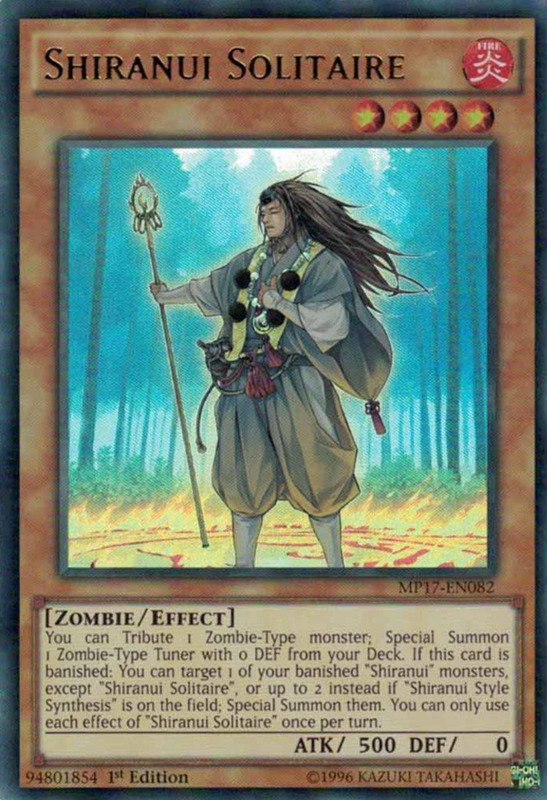 Gozuki bears the zombie type and has a decent ATK of 1700, but his real power comes in his ability to once per turn send a zombie from your deck to your graveyard, quickly stocking it with Skull Servants and Wight support units. Use defensive cards like "Swords of Revealing Light" to keep Gozuki around for multiple turns and repeatedly access his power. 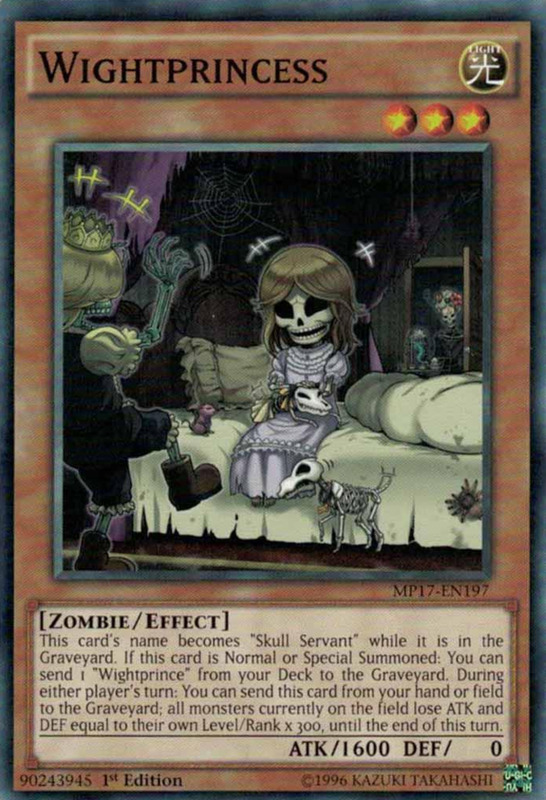 Additionally, when he's sent to the graveyard (from anywhere), you can banish a different zombie monster from your graveyard to special summon a zombie from your hand. 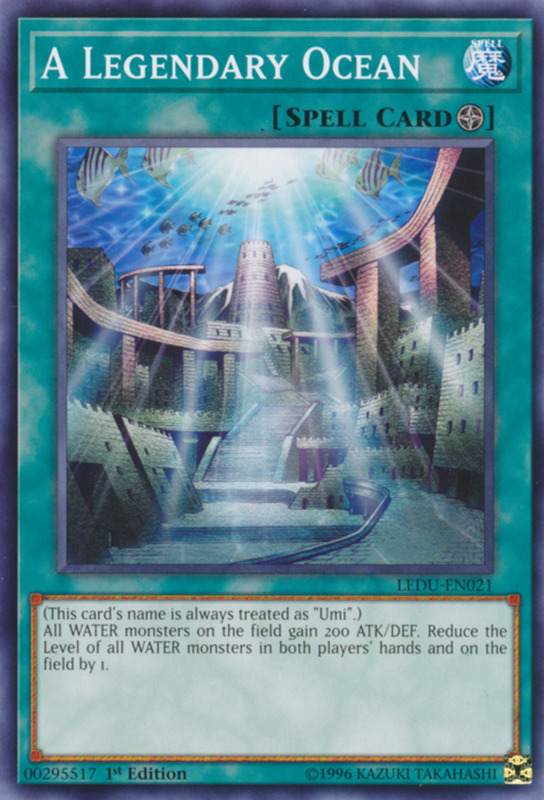 This helps avoid tributing if you're running high-level undead monsters, and even for lower-level units, it fills your field without having to spend a turn's normal summon. Special summon one of your banished "The Lady in Wight" or "King of the Skull Servants"
Both are nice effects that reward you for doing what you already want to do: stock your graveyard with supports to empower King. 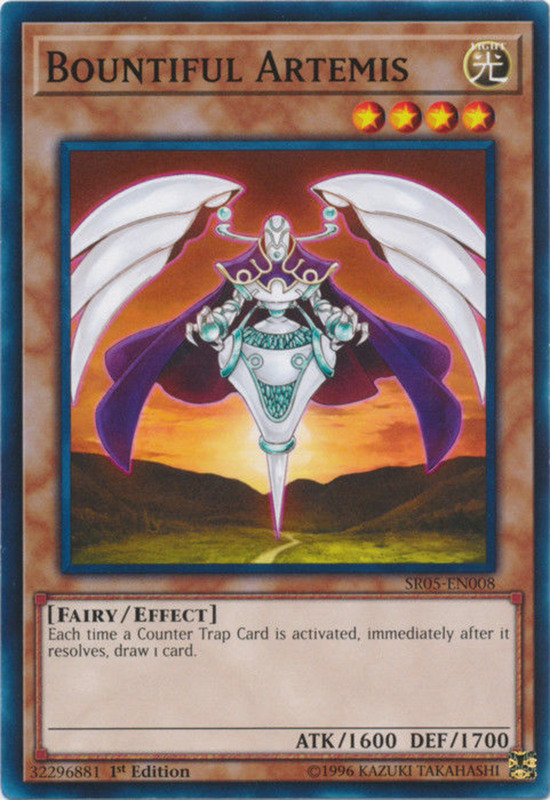 One of the best vampire cards in the game, Sucker only has 1600 ATK, but accepts any two link monsters for her summon and offers two diagonal arrows, providing additional slots for extra deck monsters. She also lets you tribute opposing zombie monsters for your tribute summons. Fortunately, she can once per turn summon a monster from your opponent's graveyard to their field in defense position and make it zombie-type, ensuring they have undead fodder for you to sacrifice. Additionally, once per turn, Sucker lets you draw when a zombie is special summoned from any graveyard, meaning her effects stack well together. Also, her zombie type won't contaminate your graveyard if you run cards like "Solidarity", and she's a powerful tool if you employ tribute or extra deck summons. Although she has 0 ATK, the Lady in Wight carries a stellar 2200 DEF, an excellent score for a non-tributed creature, and she alters her name to Skull Servant while in your graveyard. Even better, she prevents face-up level three or lower zombie monsters (except herself) from being destroyed by battle, and they become immune to spells and traps. That's simply one of the best defenses in the game, ensuring that your Kings and other low-level zombies won't go down easily. Just be careful since Lady can potentially shield your opponent's units if they happen to run weak zombies, so have side deck cards ready to switch in when necessary in consecutive matches. Wightprince has 0 for both battle stats, but he shouldn't be entering the field anyway. When sent to the graveyard (from anywhere), you can send one Skull Servant and one The Lady in Wight from your hand and/or deck to the graveyard, rapidly filling it with materials to strengthen King. Wightprince also changes his name to Skull Servant while in the graveyard. Additionally, you banish two Skull Servants and Wightprince from your graveyard to special summon a King from your deck. This is a costly effect since it lowers King's potential power by 3000, but you can quickly recover the units with Burial. 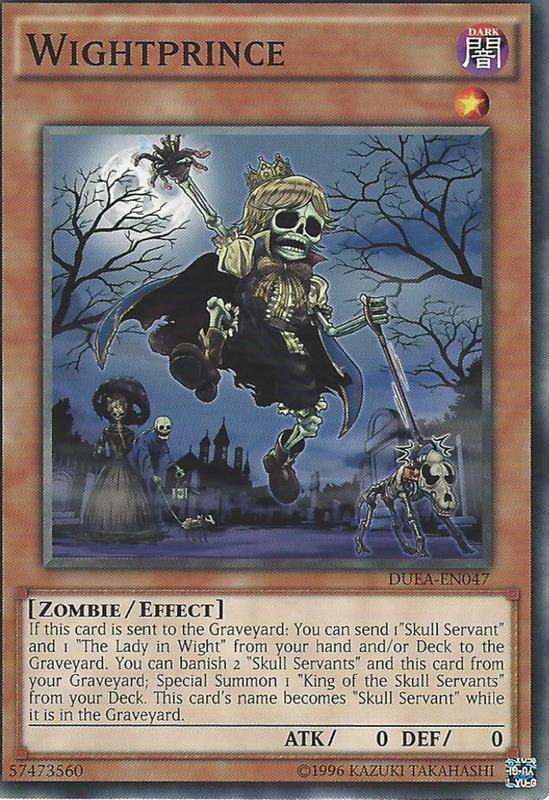 Like other Wight monsters, Wightprincess changes her name to Skull Servant while in your graveyard, and she carries a surprisingly decent ATK of 1600. Additionally, when either normal or special summoned, she lets you send a Wightprince from your deck to your graveyard. Remember, when he's sent, he'll also mill a Skull Servant and Lady in Wight, meaning Wightprincess can quickly place three King boosts in your graveyard just by entering the field. 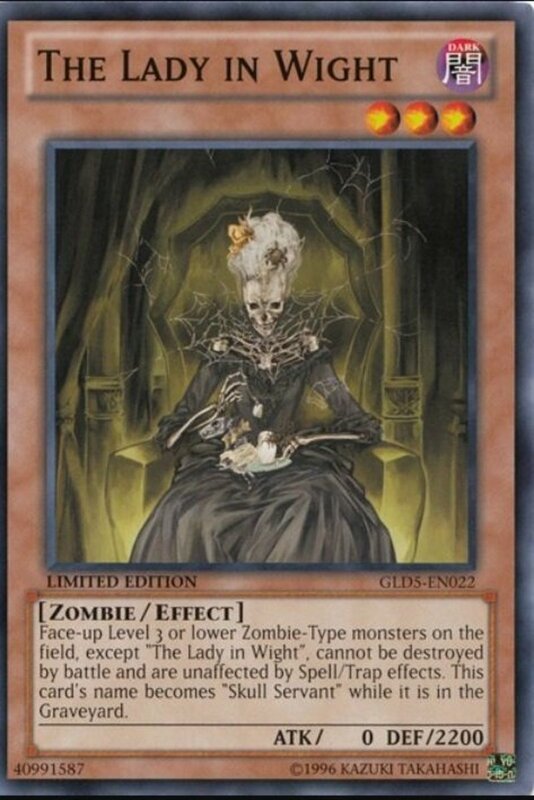 As if that weren't enough, you can send Wightprincess from your hand or field to the graveyard on either player's turn to reduce the ATK/DEF of all monsters by 300 times their level/rank until the end of the turn. Link monsters are immune since they lack levels or ranks, and your low-level monsters like King will hardly be affected, but your opponent's strongest titans will suddenly find themselves drastically weakened. What can I say; for her respectable battle stats, great milling, and fierce monster-weakening, Wightprincess has won me several duels and remains the ultimate King support; luckily, she's surprisingly affordable, costing well under a single dollar. Other Supports for "King of the Skull Servants"
Skull Servant decks are fun to tinker with since they're so versatile. 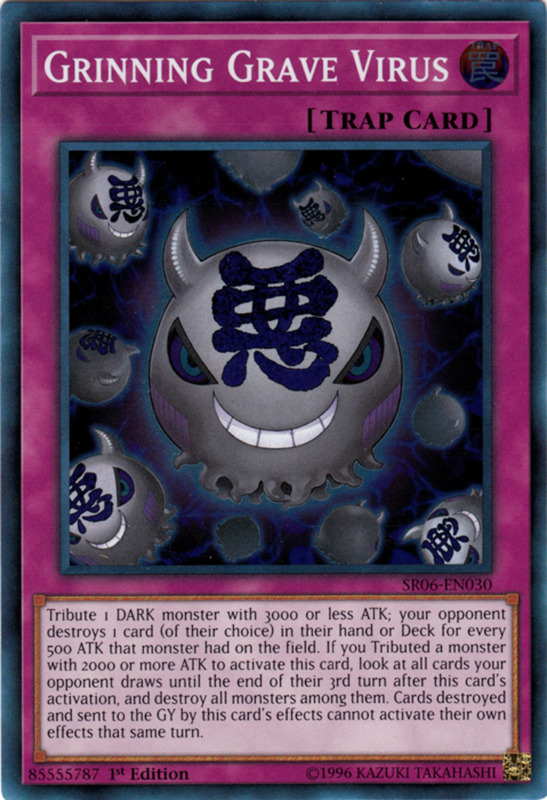 For instance, if you stick exclusively with zombies, you can further boost your ATK with "Solidarity", while "Allure of Darkness" supports decks that emphasize the dark-attribute. 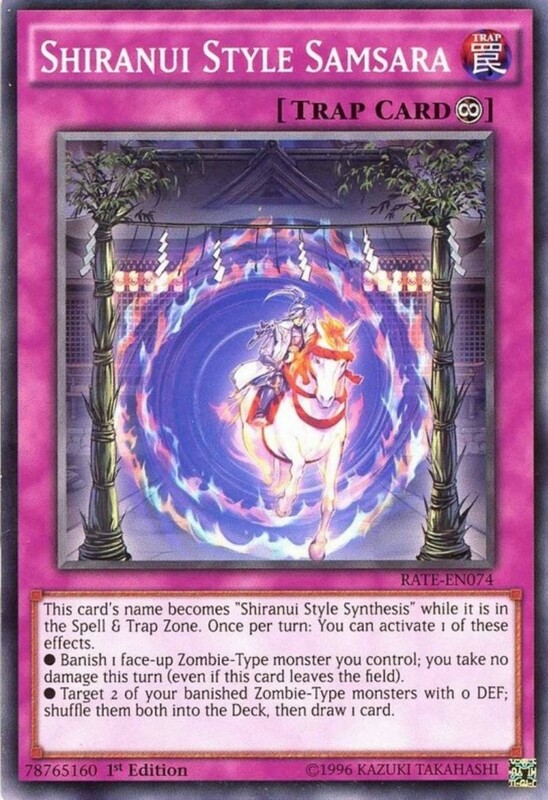 And if you don't like the Shiranui cards or Gozuki, check out other zombie supports like "Zombie Master" or "Mezuki". "Future Fusion" can also quickly move two Skull Servants from your deck to the graveyard if you use it summon "First of the Dragons", so you can see just how many paths your deck can take. 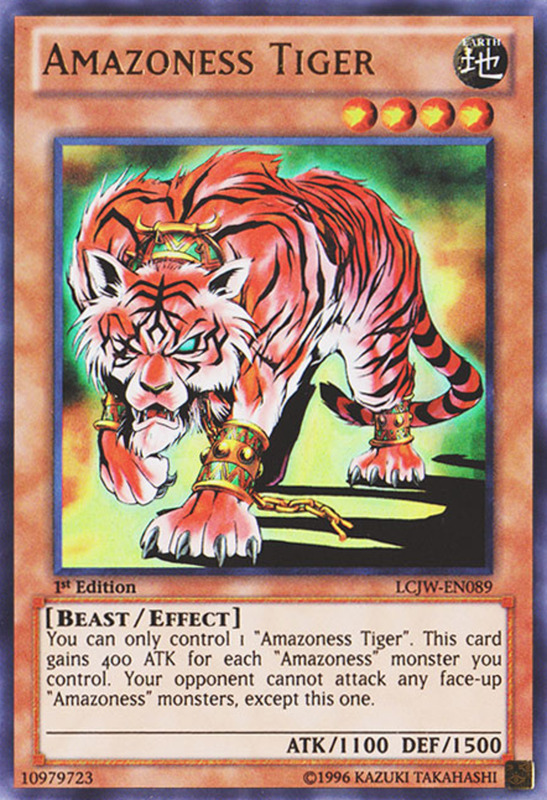 But for now, as we eagerly await Konami's next expansion of King-supporting monsters, vote for your favorite card and I'll see you at our next Yu-Gi-Oh countdown!